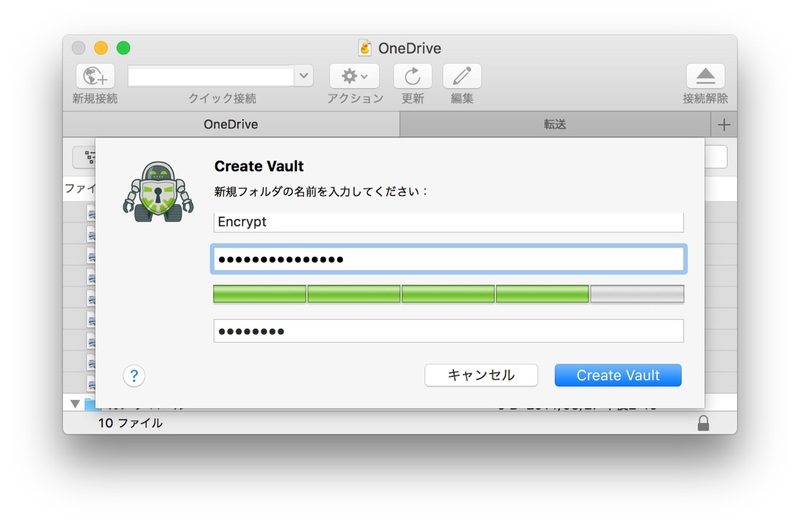 iterate、クライアントサイド暗号化手法「Cryptomator」および「OneDrive」をサポートしたMac用FTPクライアント「Cyberduck v6.0」をリリース。 | AAPL Ch. Starting to secure your data is as easy as creating a new Cryptomator vault by selecting New Encrypted Vault and providing a passphrase. As soon as you try to open a folder containing a vault, Cyberduck will prompt for the passphrase to unlock it.